The business impact of social media is undeniable. No longer confined to marketing, successful organizations rely on social media to create and nurture relationships, company-wide. But which enterprise social relationship platform is right for you? 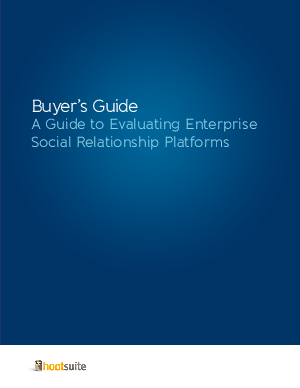 Get the information you need to make an informed decision in the Buyers’ Guide: Evaluating Enterprise Social Relationship Platforms.